Accidents in the workplace happen, especially if your job involves a lot of physical labor or dangerous tasks. Not all accidents can be avoided, so it is important to have a plan of action just in case. Follow these three steps to make sure you aren’t only taken care of physically, but are in the best-possible position to be compensated financially as well. The most important thing to do after you’re injured is to receive medical help. Whether it is an emergency room visit or just a trip to the doctor’s office, it is crucial that you tell whoever is treating you that the injury occurred at work. Your file needs to indicate it was a work-related accident. After a doctor has seen you, you need to notify a co-worker or manager. If the injury was severe enough to be taken to the hospital, speak to a manager or supervisor as soon as possible. If your injury was minor, it is still important to notify someone, as it will help with your worker’s compensation case later on. For an injury of any kind, it’s imperative to speak with a knowledgeable Florida attorney. Only someone who is well acquainted with cases like this will be able to give you the best advice and stand by you when the time comes to fight for your rights to worker’s compensation. For experienced help from lawyers who truly care about you and your rights, the attorneys at BCN Law Firm can help. You can’t always count on your employer or insurance company having your best interests at heart, and some will try to minimize the amount they will have to pay. 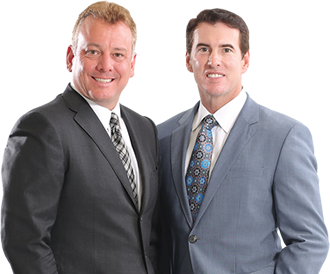 Let our attorneys stand with you to make sure you get the fair compensation you deserve. For a free consultation*, call us today at (352) 775-4739.